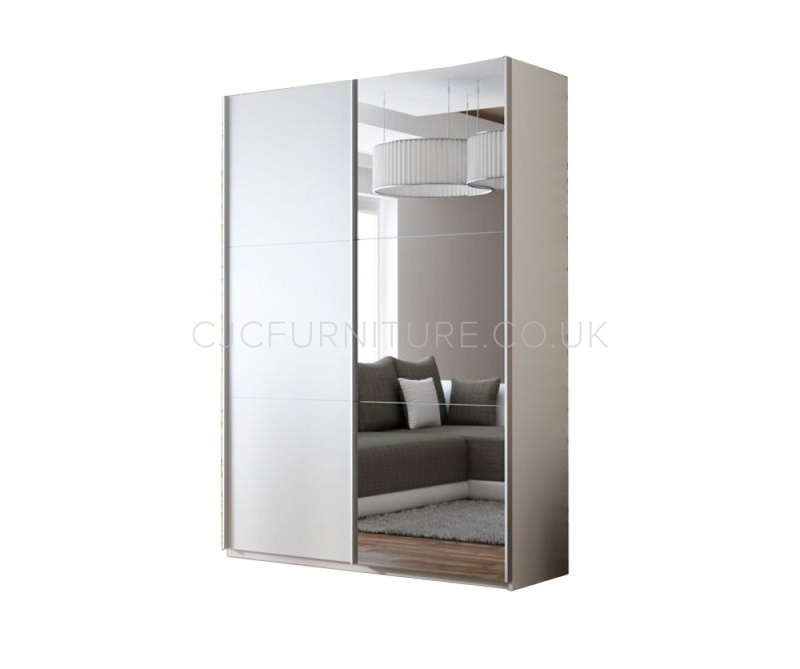 Original sliding door Vigo wardrobe will be a perfect choice for all those who seek stylish solutions with a lot of storage for their interiors. It will be an ideal match for every modern bedroom. Created from high quality laminated board to ensure its durability. It features a big mirror on one door, which will not only let you see your whole body, but also make the room look optically bigger. It features a row of spacious shelves and two rails. Available in graphite, black or white.